The mobile payments industry is a burgeoning business that arose some years after the advent of mobile technology. In the years before mobile technology, commerce largely revolved around physical currency or other commodities. There had been attempts in the early 1900’s to revolutionize commerce through the issuance of payment cards that would only be recognized by a small number of companies. This eventually gave way to the common credit card systems of today. Now that mobile technology is so prevalent in the lives of consumers around the planet, commerce may finally be ready for a successful metamorphosis. The mobile payments industry hinges on the ability of mobile devices, such as smart phones and tablets, to facilitate transactions. This capability is most commonly achieved through the use of NFC technology as well as Quick Response codes. Near Field Communications technology is capable of transmitting digital information over short distances. 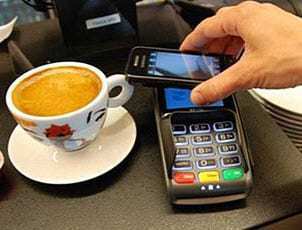 When an NFC-enabled mobile device is activated by an NFC terminal, financial information can be transmitted, per the approval of the user, and a transaction can be made. Though NFC technology has raised concerns regarding security and efficiency, it is currently the backbone of the mobile payments industry, at least within Europe. Though recently, within the United States, there have been some changes in what will actually be the standard technology used. QR codes have quickly become a strong contender for winning favor within the mobile wallet industry. 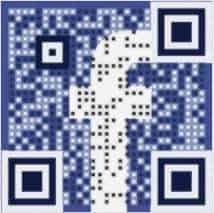 With many large companies like Paypal and even Google, taking a second look at QR Code technology. A recent report from Portio Research, a research firm focused on the mobile industry, suggests that the mobile wallet industry will grow to more than $1 trillion by the end of 2016. At the end of 2011, there were approximately 158 million mobile payment users throughout the world. This number is expected to grow to more than 1 billion worldwide by the end of 2016. Much of the growth that is coming to the mobile payments industry is attributed to the growing availability of mobile devices that are capable of participating in mobile commerce. Despite a promising future, the mobile payments industry is still very young and is facing many challenges that could derail its future success. Many of these challenges take the form of security issues. Because the industry has yet to mature, the threats that it faces are not entirely understood. Thus, malicious parties are often finding new ways to exploit the financial information of consumers by finding ways around existing security measures. Lackluster security has caused many consumers to shy away from mobile commerce in favor of more traditional forms of commerce. Another problem facing the mobile payments industry is the low availability of NFC-enabled devices. Because the industry relies heavily on NFC technology, mobile devices that do not have the technology are unable to participate in mobile commerce. Currently, NFC-enabled mobile devices are in short supply, making it difficult for interested consumers to get involved in the mobile payments industry in an efficient manner.